Mrs. Deloris McLaurin Hedges, 86, ran into the arms of her Lord and Savior Jesus Christ, on April 5, 2019. She was surrounded by family and friends. A lifelong resident of Eastover, Deloris was known for her deep love of her family, friends, community, church, and Savior. Her hands were never idle, whether she was working in the yard, visiting friends, family, and strangers at Bethesda Nursing Home, or taking care of her family. She was employed at Eastover Artworks and Furniture for about 25 years. One of Deloris' favorite pastimes was keeping her yard beautiful. It was a common sight to see Deloris wearing her green bonnet and running the lawn mower at top speed. She was still weed eating at age 84. If there is grass to be mown in heaven, she is no doubt wearing her green bonnet and crown and once again hitting top speed. 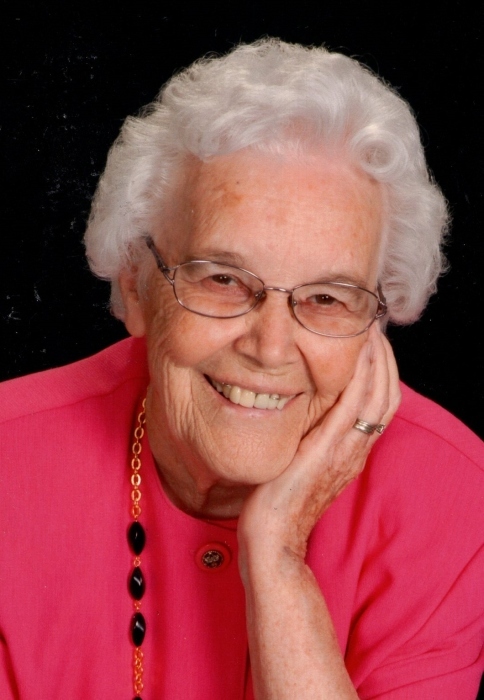 Deloris was a faithful member of Salem United Methodist Church since she joined at age 11. Whether singing in the choir, serving at the BBQ, or whatever was needed, Deloris was there to serve. Deloris met the love of her life, George, and married after 6 months of courtship. They shared 54 years of marriage and were great examples of what a marriage should be. George and Deloris were blessed with two children, Jeffrey and Donna. As a team, they set Godly examples for their children, and grandsons Rio and Jared. Funeral services will be held Sunday, April 7 at 3pm at Salem United Methodist Church with the Rev. David Beck officiating. Burial will follow in the church cemetery. The family will receive friends from 2 pm to 3pm on Sunday in the church parlor. Deloris was preceded in death by her parents, Marcus and Letha McLaurin, husband of 54 years, George, brothers Millard, Leland, and Elbridge McLaurin. Surviving are her son, Jeffrey Hedges and wife Veronica, Daughter Donna Boggs and husband Gary, grandsons Rio Blaine Dunn and Jared Hedges, and her best friend of 40 + years, Trillma Pribbenow. Many thanks to Deloris’ faithful caregivers Michelle McKeithan, Michelle Gallagher, and Amy Carter along with a caring Hospice team. In lieu of flowers, donations may be made to the Alzheimer's Association (alz.org). Arrangements by Jernigan-Warren Funeral Home, 545 Ramsey Street, Fayetteville, NC 28301.